The ombudsperson plans to visit Luhansk Region again in April. 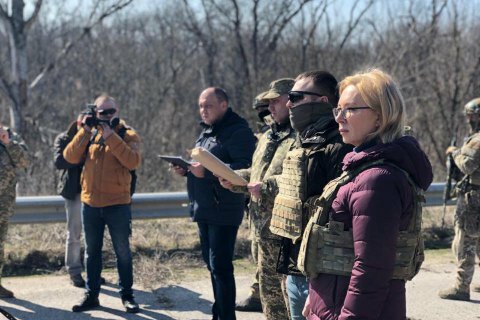 Ukraine has recovered 60 prisoners who have been serving their terms in correctional facilities located in parts of Luhansk Region which were occupied by pro-Russian militants, Ukrainian ombudsperson Lyudmyla Denisova has said on Facebook. The handover took place in the town of Shchastya. The prisoners will continue to serve their terms in the government-controlled territory. Denisova recalled that in February, Ukraine recovered 33 convicts in addition to 42 prisoners handed over in December. "Over the past three months we have managed to transfer 135 prisoners from the uncontrolled territory in Luhansk Region. Of them, 22 were released because their jail terms ended. Four out of 60, including a woman, spent over nine years in penitentiary institutions in the temporarily occupied territory of Luhansk Region without court rulings. That is, they were not proven guilty under a lawful procedure. This is a blatant violation of their rights to fair justice," she said. She added she plans to visit Luhansk Region again in April to supervise a handover of another 60 people.